DVC04-BYO Portable LCD Pole Stand for Build Your Own Pole Computer Workstation. You can also call us so we do this over the phone for you. * Dimensions: 24"W x 24"D (variable) x 67"H (pole height). 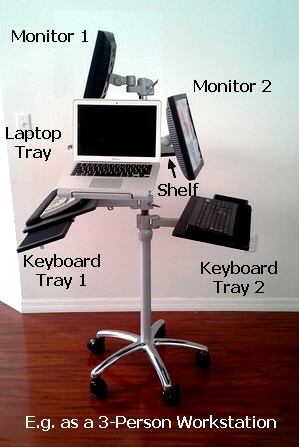 You can even create a 2-person workstation by adding 2 LCD mounts and 2 keyboard trays or laptop trays and use one simple location for 2 people, saving valuable office space and optimizing your computer cart investment. 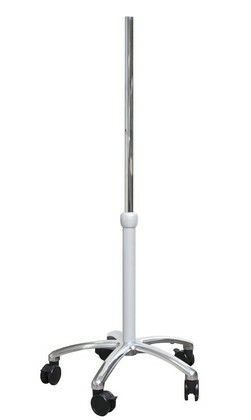 All the components are attached to the pole and are height adjustable via a handle. 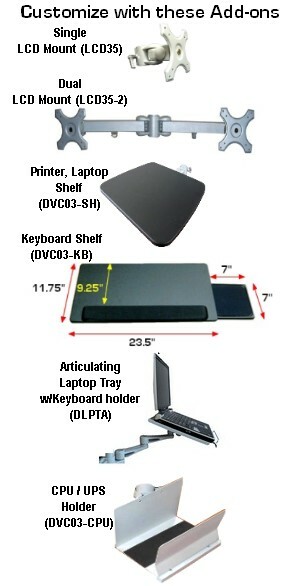 The on-the-fly height adjustment allows to create a flexible Sit to Stand computer workstation.